The technology loving world is currently counting down the days until the March 14th Samsung Galaxy S IV announcement. The South Korean company will be more than well aware of the excitement surrounding the next-generation Galaxy S device, and in an attempt to raise that interest to unprecedented levels, have posted an official teaser image of the hardware through their US based Twitter account. 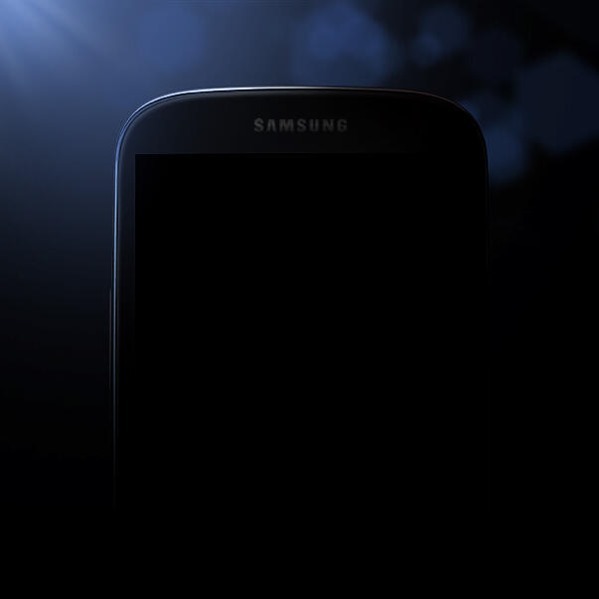 Yes, the posted image is an official image of the soon-to-be announced Galaxy S IV. No, we can’t learn anything about the aesthetics or specifications from it as it’s simply an outline of the top half of the device blended into a dark background, and yes, it looks exactly like Galaxy S III. Maybe Samsung is keeping the same design as S III for S IV, or maybe they are just playing a game? who knows. It’s still nice of Samsung to keep the public on-board and show us what is potentially the first official look at their next Android flagship smartphone. The previous Galaxy S II and S III have proved to be insanely successful devices for Samsung, meaning that this latest release has rather larger shoes to fill. We’ve already been privy to a number of leaked images online that are alleged to be of the actual Galaxy S IV, but only time will tell if any of those contenders bare any resemblance to what makes it onto our shelves when the hardware is launched. It may only be a couple of days until the Unpacked event is held in New York to announce the S IV, but it’s more than likely that we can expect Samsung to continue their attempt to raise interest by posting additional teaser images and videos online. We have our fingers crossed that when we do eventually get to see what Samsung have in store for us, it doesn’t disappoint. Promoting a product with lines such as "it’s going to be the most amazing product since the TV’s went color" can only mean that they are pretty confident it will make a significant impact on the market. Still, it looks like we will have to exercise a little more patience as although we’ve now officially seen the S IV, we can’t really make out much more than the vague Pebble Blue color and the curved aesthetics of the shell which are almost exactly similar to that of S III. Stay tuned for more on this one.